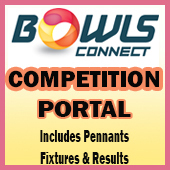 A new bowlers course will be run over five weeks commencing on Saturday at 10am in November on a date to be decided. Cost is $15 and covers all facets of the game and Club facilities. Bowls available at no cost. Flat soled shoes essential. For more information please contact Tony Hockey on 94905251. Full details here The forms are at the Club, near the bar, to put your details on. 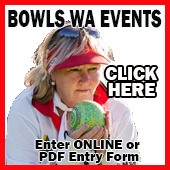 We have a new coach who have completed the Bowls Australia Coaching Accreditation Course. Congratulations to Shenayde Heldt. 1. Start setting goals by identifying athletic skills (mental and physical) that will help you achieve higher levels or performance. Develop an action plan, evaluate your progress and commit to staying focused on the process. 2. You must realize that goal-setting, like all other mental skills, requires consistent daily attention and refinement. You wouldn’t stop training several months prior to a big competition. If you commit to physical and mental training, you will see positive results. Firstly find your line and then make sure that your right foot for right handers and left foot for left handers is pointing along that line. All that you need to do now is step along your line and deliver the bowl along that line. Problem solved. Tip #1: You want to focus on “controlling the controllables.” You may not be able to control all stressors inherent in competition but you can control your reaction to those circumstances. Tip #3: If your stress hurts your performance in the opening moments of competition and does not go away quickly, it’s probably negative stress based on fear of failure. In this case, you’ll want to contact a mental game coach to help you manage this. Want to improve your weight control? Set up a jack on minimum length and another 1 metre behind, another jack on the T and a jack 1 metre short of the T. Draw your first bowl to the front jack and your second bowl to the next jack (for increased weight practice). Your next bowl should be to the jack on the T and your last bowl to the jack just short of the T. This is to assist with taking a metre off. Do this for 5 ends and then reverse the sequence. Tip 1: Strive to objectively analyze your performance after your emotions have settled down. Being objective also means giving yourself credit for the things you did well at a competition–and there are successes in every competition. Ask yourself the following questions: What did I do well? What things contributed to my poor performance? What things can I change? What adjustments do I need to make to perform better in the future? Tip 2: Decide how to change your practice or training plan to make the necessary performance improvements. How can you improve the effectiveness of your practice or training? Who’s help can you enlist to improve your practice game?